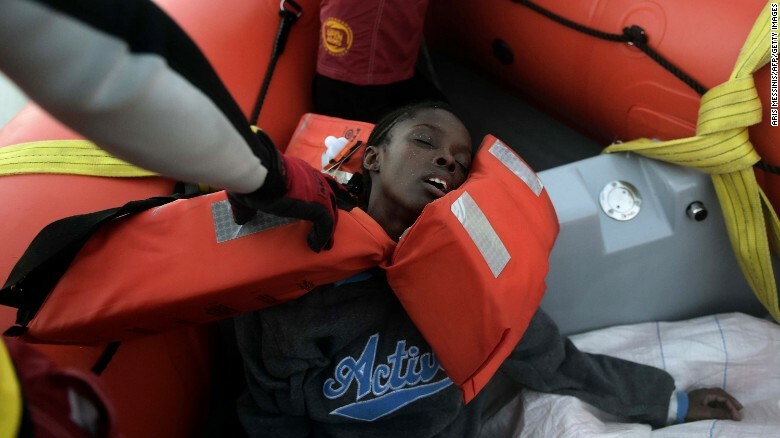 By Bianca Britton, CNN Updated 1629 GMT (0029 HKT) October 6, 2016 (CNN)It began when Agence France-Presse photographer Aris Messinis was on board the Spanish migrant rescue boat, NGO Proactiva Open Arms, in the Mediterranean Sea off the coast of Libya. He was documenting the crisis, which has seen around 132,000 migrants arrive in Italy by sea this year. Messinis told CNN that the NGO's boat was the only rescue vessel in the area when suddenly, they saw several crowded migrant boats arriving. "We are talking about more than 3,000 people," he told CNN. It was like nothing he had ever seen before. 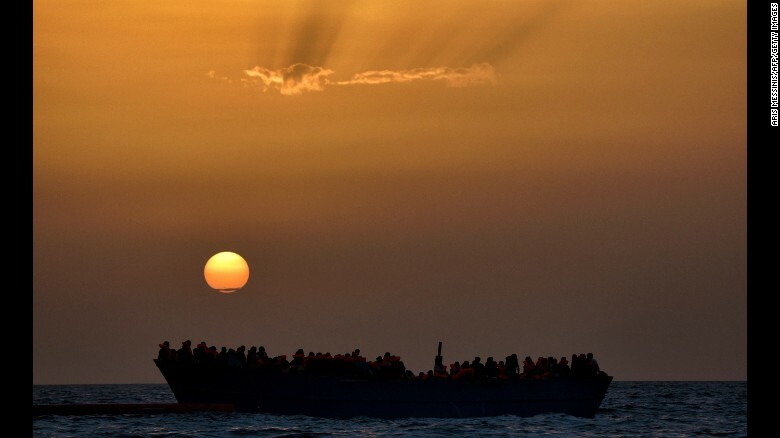 Migrants wait to be rescued as they drift at sunset in the Mediterranean Sea. The boats, found on Tuesday, were crammed with migrants from Somalia, Congo, Nigeria and other sub-Saharan countries, he said. 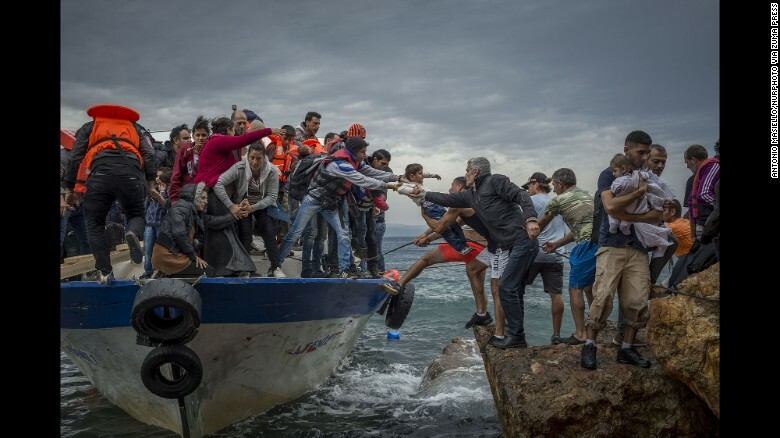 But as they started rescuing those in the boats, they quickly realized the situation was much worse than originally anticipated. On the boats were dozens of bodies of migrants who did not survive the crossing. "We were trying to keep them (survivors) calm," Messinis said, but "there (were) people screaming, holding their babies in the air." He said that people were so panicked, survivors began clambering over the dead bodies. After all the survivors were collected and transferred to the Italian authorities, Messinis said that the rescuers counted 29 dead bodies -- 10 men and 19 women, all between 20 and 30 years old. A woman faints after being rescued. "I've (seen) in my career a lot of death. I cover war zones, conflict and everything. I see a lot of death and suffering, but this is something different," he said. "Completely different." Messinis acknowleges that his photographs of the scene are graphic, but said he wants people to be shocked. "I want to show people what is happening in the world. The world isn't full of love and flowers, (it's) almost full of dead and human suffering. So we need to know about this so we don't close our eyes to reality," he said. Messinis said he was saddened by what he'd seen and told CNN he feels society is turning its back on the migrant crisis: "I don't know why, (but) I wish one day I (can) find out why."